I started riding for Madrid back in 1981 or so. I was traveling everywhere, doing demonstrations and skating hard. 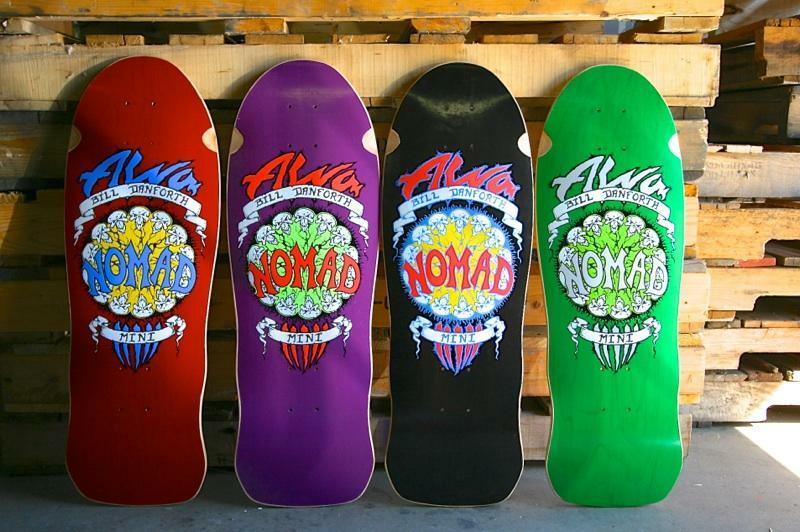 In 1986, Alva Skates made me an offer to skate for them. If I recall correctly, the team on Madrid had dwindled away. 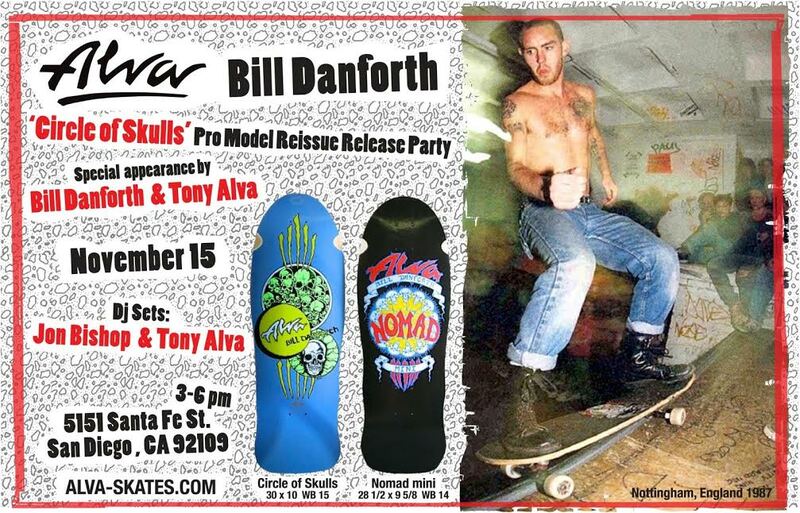 I had always looked up to Tony Alva since I was a kid, so when he made me an offer to ride for them… how could I say ‘No’ to that? The Alva team consisted of Cooksie, John Thomas, Jef Hartsel, TA and Fred Smith. As soon as I got on Alva, I continued doing demo’s as I had been scheduled while still on Madrid. I scheduled most of these myself. I was on the road all of the time, hence the name ‘Nomad’. I had friends in Mississippi and they traveled and skated everywhere. The called themselves ‘Nomads’. I became one of them and as I started signing boards or wherever I was, I’d write Bill Danforth Nomad. I was throwing it back to my roots.